London Urologist, Mr Vinod Nargund, is a Urology expert based in London, who has over 21 years experience in diagnosing and treating urological problems. He is also the principal editor of Urological Oncology published in 2007-8 and 2015. Find out more on Mr Nargunds biography. 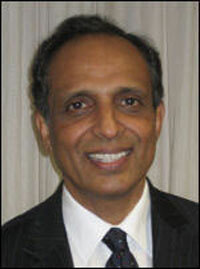 London Urologist is a specialist urology service run by Mr Vinod Nargund, Consultant Urological Surgeon. The service is open 6 days a week and provides emergency advice services 7 days a week. At London Urologist, we provide world-class diagnosis and care in male infertility, erectile dysfunction, testicular problems/diseases, prostate conditions, bladder conditions and kidney diseases. Men who simply want to find out how fertile they are and how to improve their sperm quality can attend a consultation and take specialised sperm tests in one visit, with tailored advice to help them promote their natural fertility. Early advice to improve lifestyle and to address any hormonal or testicular problems could improve natural fertility. If there is a severe sperm problem expert IVF/ICSI services and sperm aspiration are also provided. Vasectomy reversal and surgical sperm retrieval by microsurgical techniques are also available at London Urologist. Urinary infections (such as cystitis) and kidney disorders, including cancer, will be dealt with promptly and using the latest technology available. If you have any worries regarding Erectile Dysfunction, you can receive confidential, in-depth consultations and treatment at London Urologist.